Right-wing candidate Michael Ben-Ari has faced stinging backlash since his statements about Israeli Arabs, in which he described them as “enemies from within” – something that Israeli Attorney General has called “incitement to racism”. Israel’s High Court of Justice disqualified Michael Ben-Ari, the leader of the right-wing party Otzma Yehudit from the 9 April general election in an 8-1 vote on Sunday. As Justice Yitzhak Amit asked Ben-Ari’s attorney whether the politician was against the “entire Arab population”, the lawyer explained that his client had no problem with Arabs who see Israel as the state of the Jewish people and that those who are not loyal to the state should not be citizens. The justices reversed a Knesset election committee decision that green-lit Ben-Ari’s candidacy earlier this month and banned the joint slate of Balad-United Arab List and Ofer Cassif, a member of political alliance Hadash-Ta’al, from running in the forthcoming election. Cassif was accused of equating Israel and the Israel Defence Forces (IDF) with the Nazi regime, and calling Justice Minister Ayelet Shaked, “neo-Nazi scum”. He, however, claimed he was simply using metaphors. The ruling marked the first time in the court’s history that an individual has been prohibited from standing in elections, according to local media. Ben-Ari landed in hot water for comments he made about Palestinians in Israel that Attorney General Avichai Mandelblit previously branded as “incitement to racism” and “calling for a violent renunciation of the Arab population’s rights”. Reacting to the decision, Ben-Ari has denounced the “judicial junta which seeks to take over our lives”, Haaretz reported, adding that other members of his party remained eligible to run. The United Right Party labelled the ruling absurd and pledged to put an end to what they called judicial overreach. “The people, not the judges should be choosing the candidates”, they said. — gforce (@gvforce1) 17 марта 2019 г. — Sagar Pathak (@MyselfIsAfterMe) 17 марта 2019 г. — eli feigenbaum (@feigi18) 17 марта 2019 г. — neversaynever (@commesefa) 17 марта 2019 г. Sad sad sad…these judges are a shame! They would sell themselves for a few $…Dr Ben Ari thank you for continuously fighting for israel! God is on your side and truth!!! — neversaynever (@commesefa) 18 марта 2019 г. In the meantime, Ayelet Shaked said that disqualifying Ben-Ari “while declaring terror-backing parties kosher”, the judges had carried out “crass and misguided interference in the heart of Israeli democracy”. The Balad-United Arab List, in turn, has saluted the court’s ruling, saying that the committee’s move to ban it from elections went against a recommendation by the Attorney General, who insisted that the evidence provided against the Arab party was dated. “We are proud of our identity, our democratic vision, and call upon the democratic public in Israel, Arabs and Jews alike, to unite around the slate against the campaign of incitement and de-legitimisation against Arab society and its elected officials”, the faction said in a statement. Ofer Cassif thanked the court for their ruling, saying that the attempt to bar him and the Balad-United Arab List “stems from the hate and racism of the radical Right led by Prime Minister Netanyahu. I, along with my partners in Hadash will continue to unrelentingly combat the occupation and work for peace and justice and against racism and for equality. I am sure we will triumph”. Ben-Ari has faced a multitude of bids to bar his candidacy in line with Article 7A of the Basic Law: The Knesset, which cites “incitement to racism” as one of three actions that outlaw a candidate from standing in election. The statements in question reportedly include his November 2017 speech at an annual memorial for Rabbi Meir Kahane, in which Ben-Ari said: “Let’s give them [Israeli Arabs] another 100,000 dunams [of land] and affirmative action, maybe they’ll love us. In the end, yes, they’ll love use when we’re slaughtered”. 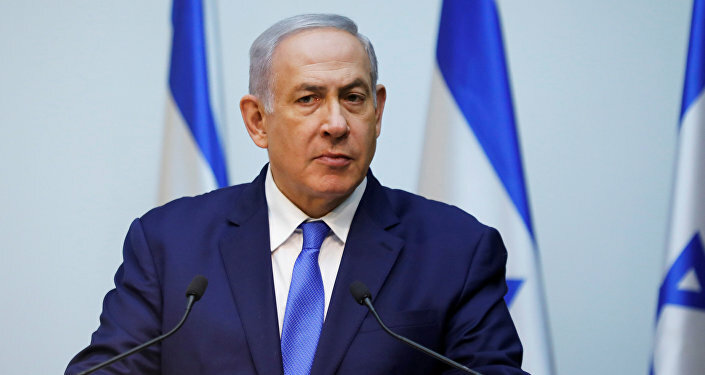 According to Haaretz, his May 2018 remarks, in which he called Israeli Arabs “enemies from within”, also sparked controversy. “The Arabs of Haifa aren’t different in any way from the Arabs of Gaza. How are they different? In that they’re here, enemies from within. They’re waging war against us here, within the state. And this is called – it has a name – it’s called a fifth column. We need to call the dog by its name. They’re our enemies. They want to destroy us. Of course there are loyal Arabs, but you can count them – one percent or less than one percent”, he said. 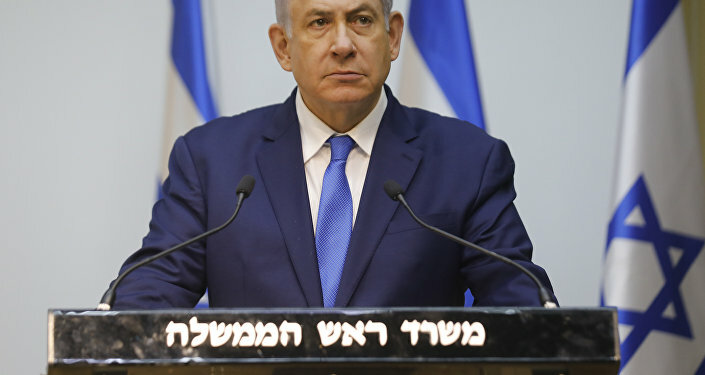 General elections in Israel are slated for 9 April, with Prime Minister Benjamin Netanyahu facing a challenge from the country’s centrist members of the Knesset.